When Nintendo first announced the Switch, I was both excited and skeptical. The company advertised a portable console that acted as a hybridized version of the DS and Wii U – Nintendo’s (respective) best and worst selling consoles. Nintendo’s claim of, “[The] Switch simply works” put me even more on-edge. Many tech owners will agree that digital products are rarely ever fault-free. For example, Siri often says that she doesn’t understand something and Alexa occasionally looks up the wrong product in Amazon Ads. In the commercials, however, these malfunctions aren’t apparent. With almost every device, there is always some unadvertised error. Surprisingly, though, the Nintendo Switch just works. It’s got its flaws, but the system’s benefits far outweigh its drawbacks. The Nintendo Switch offers a gamer’s dream: full, console-level games in a portable, user-friendly system. With the Switch, gaming on the go has never been easier. Placing the Joy-Con controllers on the Switch console means the accomplishments of the gamer are determined by how long they are out. The Joy-Con controllers allow this console to cater to every play style. The controllers function via Bluetooth and act as separate entities, which makes for several control schemes. The first and most basic setup has the Joy-Cons docked on the controller grip, which is similar to most generic controllers. The second setup holds each controller independently, allowing for a more comfortable play session. The third setup allows for multiplayer gaming, with each Joy-Con functioning as its own controller for games like Snipperclips and the unreleased Mario Kart 8 Deluxe. The final control scheme is the portable mode that has each Joycon sitting on the console itself, allowing for on-the-go gaming. The Switch Pro Controller is an additional control scheme, costing another $70. The gorgeous screen on the console itself is unique.Though it’s only a 720p screen, it runs at a smooth 60fps. Placing it on the system doc will stream any gameplay to the TV at 1080p. This creates a visually crisp experience. The Switch is not a super powerful console. In spite of its release following the Xbox One and PlayStation 4, the system does not outperform its competition. This is partially due to its portability, sacrificing power for convenience. If on-the-go gaming is not a priority, then this console isn’t worth buying. 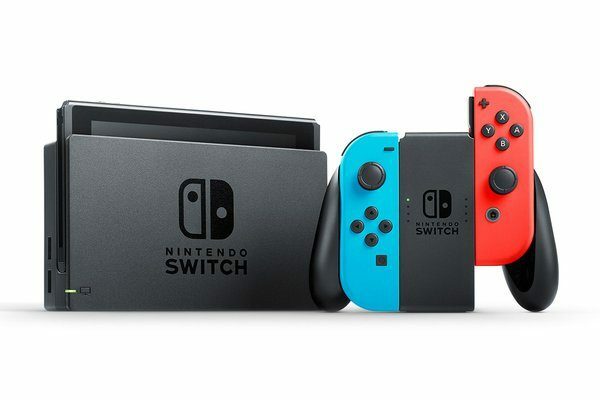 Some game developers have confirmed that they will not be porting their games to the Switch because they know they wouldn’t perform well. Battery life is a downfall of the Switch as it is completely dependent on the game. While the system is undocked, it uses up battery life that can last anywhere from 3-8 hours. There is currently only one game worth buying on the Switch. Most consoles artificially pad their lineup with a few titles and older games, but Nintendo opted for a staggered game release. This means that the only game worth playing on a Switch is Breath of the Wild, which is also available on their now-obsolete console, the Wii U. There will not be any games exclusive to the Switch until April, when ARMS is set to release. Summer promises a non-ported game in the form of Splatoon 2. There is currently one game worth buying that can be bought for an older system, and only two big exclusives will be released in the next 4 months. The Nintendo Switch is a great console. It allows gamers to go wherever and play however they like. This feature makes up for the system’s shortcomings. The screen on the system is beautiful, the controllers are comfortable, and the portability works. The only real hindrance is the console’s abysmal game lineup for the first few months. I highly recommend the Switch, but for those who are interested, I’d hold off until the holidays to take the plunge.